With the 2008 financial crisis still striking minds, Satoshi Nakamoto released Bitcoin- the concept of making cashless payments via virtual currency. To get rid of the robbery issues and to enhance security aspects, Bitcoin gained popularity in a very short time. Removing the role of intermediary in-between and making the process decentralized. Thereby, savings the costs paid to third-party support and making a decentralized framework for security purposes and safety of your currency. This all was made possible due to the blockchain architecture working behind its structure. By April 2018, bitcoin index value reached an amount equal to 9,244.32 U.S. dollars. Bitcoins were designed for overcoming the fiat money and offering a virtual form currency, thereby removing the traditional bank approach. To begin with, you get yourself registered through their app and receive a virtual wallet. The bitcoins you hold will be safely stored in this virtual wallet. Shopping, purchasing, paying bills, everything is made online with the virtual currency. The currency just gets transferred from one e-wallet to another e-wallet. Just store your coins either on your smartphone, laptop, or tablet. No more need to swipe your card and enter the passwords, simply view the QR code in the app and scan the mobile. As there is no third-party interference in the whole process, there comes no chance of any hacker or spy attempts to peep into your network. Thereby offering you security plus cost-effective services over the traditional bank services. Moreover, there is no need of providing any secret information and other details, deducting the chances of getting your information leaked. For advanced security reasons, the session logs out automatically after a particular period of time. The service provides the whole control to the user itself, removing the involvement of bank operators assistance. Decide by yourself what you want to do with your money. Unlike traditional banks, bitcoins have no enforced rules, no transaction limits, no such rules impose on the users. There are numerous types of virtual currency available in the market. The e-wallet is compatible enough to store more multiple currencies at a time, with no maximum limits. Go anywhere across the world, no worries for the payments. Make multiple currency payments from one single wallet. Moreover, cross-border payments and international transactions are made possible via e-wallets at very affordable costs. 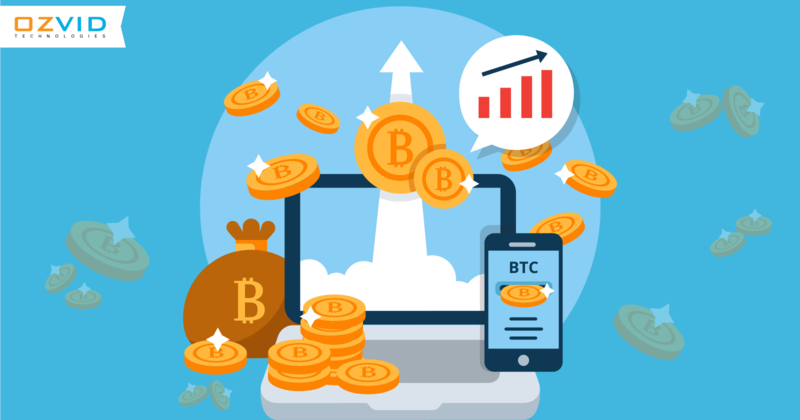 With the involvement of technology and applications base, bitcoin is working on to transform the finance industry completely, for a better experience and customer comfort. Many well-known companies providing web development services are looking forward to getting their emerging technology techniques get indulged in this platform to offer enhanced online payment platform. To stay in the race, it has become essential to get a partnership with a well-recognized company and get best benefits out of it. No more chances of getting robbed! !